A Fort Worth church that serves homeless people has been told it must close because the owner is selling the property, the pastor says. 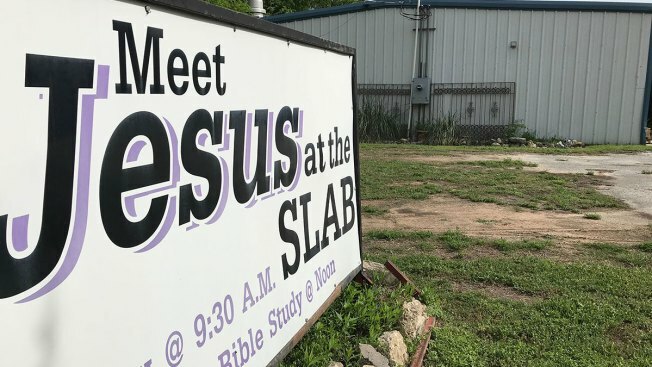 The Church on the Slab, near Interstate 30 and Rosedale, has offered hope and salvation to thousands of "forgotten" people over the past 14 years, said Pastor Cherryll Wallace. "We're not a mission. We're a church with a mission," she said. Representatives from the nonprofit that owns the property, Daily Bread Ministry of Flower Mound, did not return phone calls seeking comment. The owners, who have allowed the church to operate rent-free, asked the church to close before Easter, Wallace said. The church has 197 members, she said. Many make their homes on the nearby streets. "Life on the streets, I have been into a lot of things," said Roshone Johnson, who said he has been homeless for nearly 20 years. The Church on the Slab has changed his life, he said. "It kept me out of jail," Johnson said. "This place has blessed me with a lot." Wallace said she has faith God will somehow find a solution before she is forced to close. "I can't move this church," she said. "It's in a place where the homeless come. You can't move them. This is where they come."